For over 33 years COR®BON's dedicated and skilled team has been developing innovative hunting ammunition for serious hunters traveling around the world to harvest large, tough, and dangerous game. Peter Pi originally designed his handgun hunting ammo from his passion of handgun hunting after becoming frustrated with the lack of serious handgun hunting ammunition on the market. He developed his own process over 33 years ago to create the highest performance handgun ammo in the world. This product is the ammunition that started it all. COR®BON stands for Bonded Core and it’s has been successfully proven through the years by worldwide hunting greats such as Larry Kelly, (Mag-na-Port) and JD Jones, (SSK Industries). 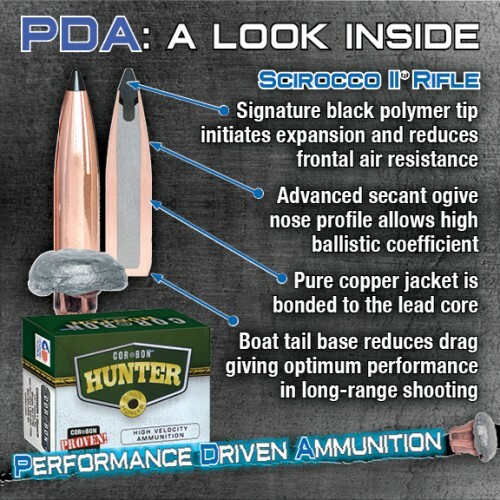 Scirocco II bullets have a bonded core and are long-range stream-lined bullets for long range rifle hunting. It has the highest ballistic coefficient of any bonded core hunting bullets on the market today. 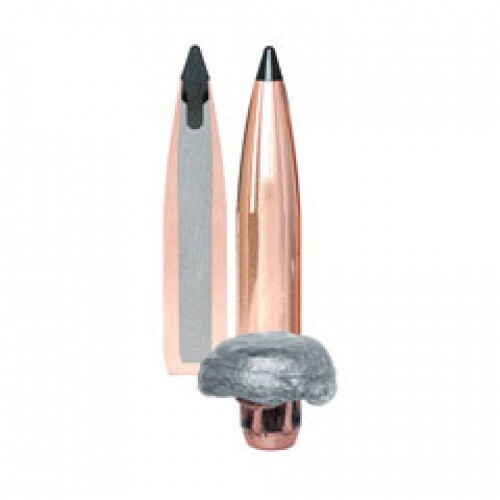 Typically expanding to twice its bullet diameter and retains 90 to 95% of its original weight.